Bruges is a medieval city in the region of Flanders in Northern Belgium. I have been to Bruges twice, and its beauty never seizes to amaze me. Designated by Unesco as a World Heritage City, Bruges feels like it popped out from a fairytale with its cobbled alleyways, charming squares, picturesque canals and beautiful architecture. A day trip to Bruges is a must, but I totally recommend that you stay overnight, like I did both times so you can admire it during the night. 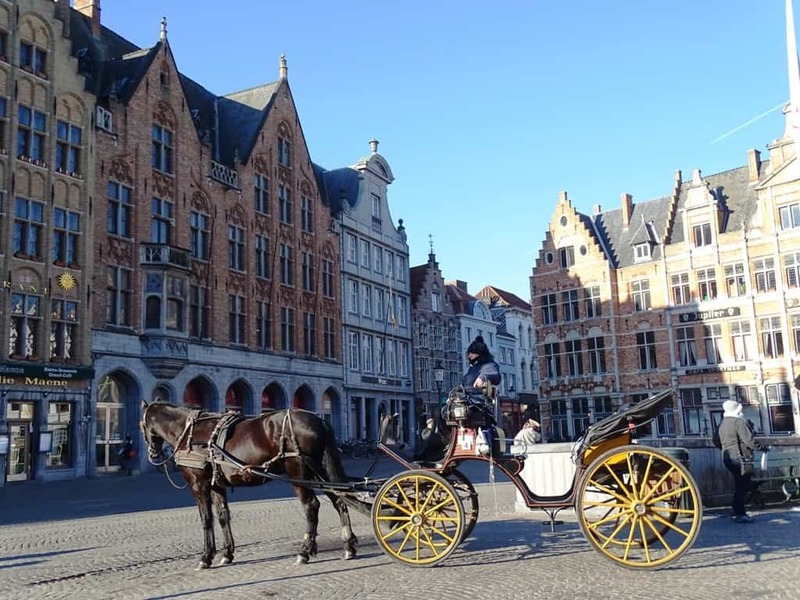 Bruges has a compact size and can easily be explored on foot, by boat or a horse carriage. 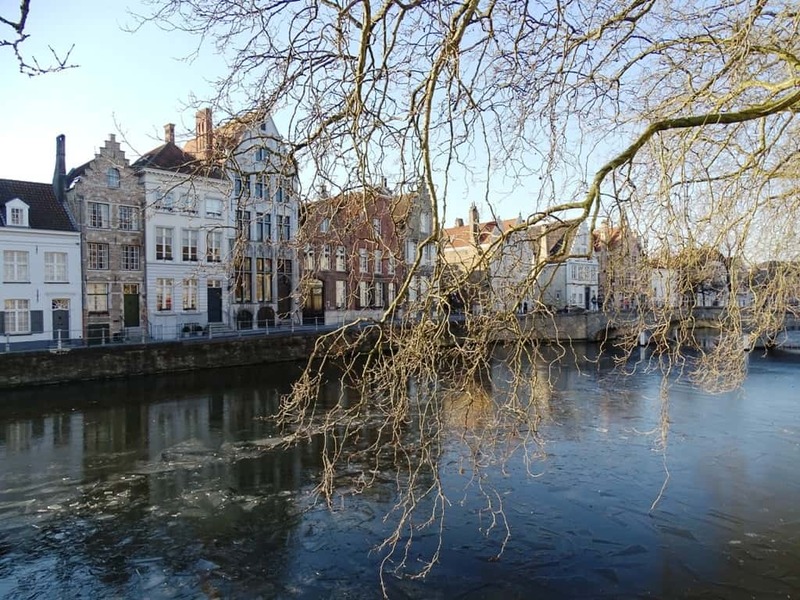 Despite its small size, there are many things you can do and see in Bruges. The Market Square is located in the centre of the city, and it’s a traffic-free square renovated in 1996. 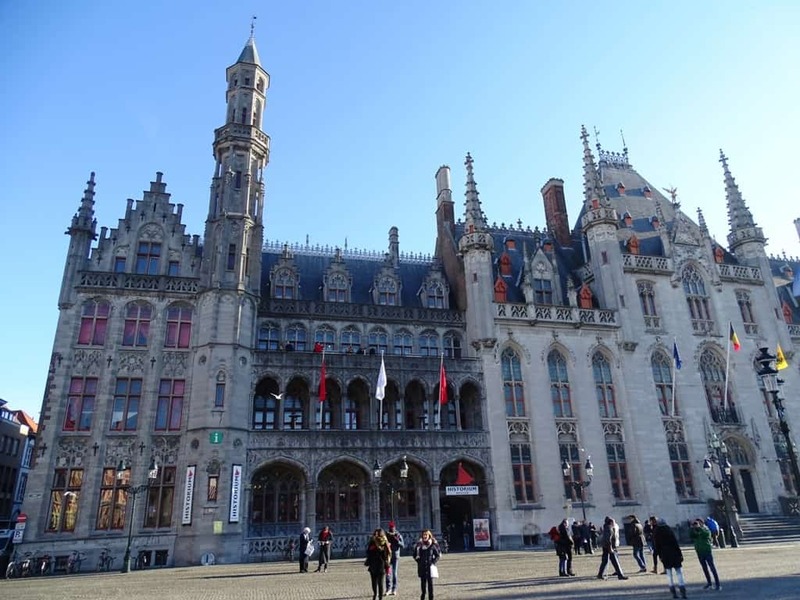 The square is dominated by the 13th-century Belfry, but there, are other fascinating buildings around it like the Provincial Palace rebuilt in 1887 in Neo – Gothic Style, and the statue of Jan Breydel and Pieter de Coninck, heroes that played a major role in the Battle of the Golden Spurs in 1302. Just in front of the Belfry, you will find 2 canteens selling the best, fried potatoes I tasted in Belgium. 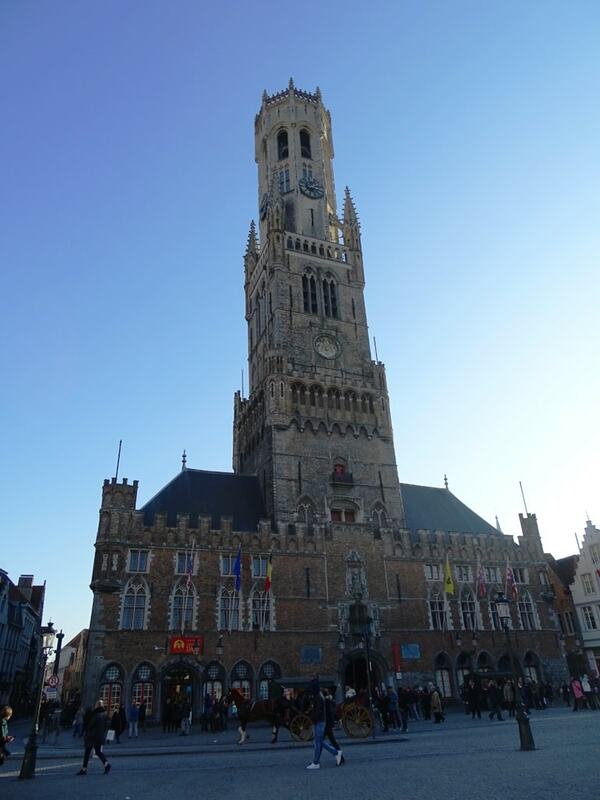 The Belfry of Bruges is one of the 33 Belfries around Belgium declared as a World Heritage Site. It stands at 83 m above ground and the view from the top is breathtaking as you can see the whole town. You have to climb 366 steps to get to the top but it is, totally worth it. This 13th-century medieval tower used to serve as an observation deck, warning the residents of Bruges of imminent danger and also as a clock. 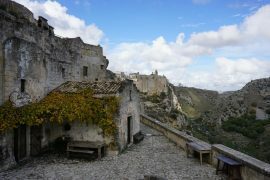 They also kept the city’s archives there, but they were destroyed in a fire in 1280. Nowadays the Belfry works as a clock tower and a carillon with 47 bells. The queues to the Belfry are always long, and tickets cost 8 € for adults. 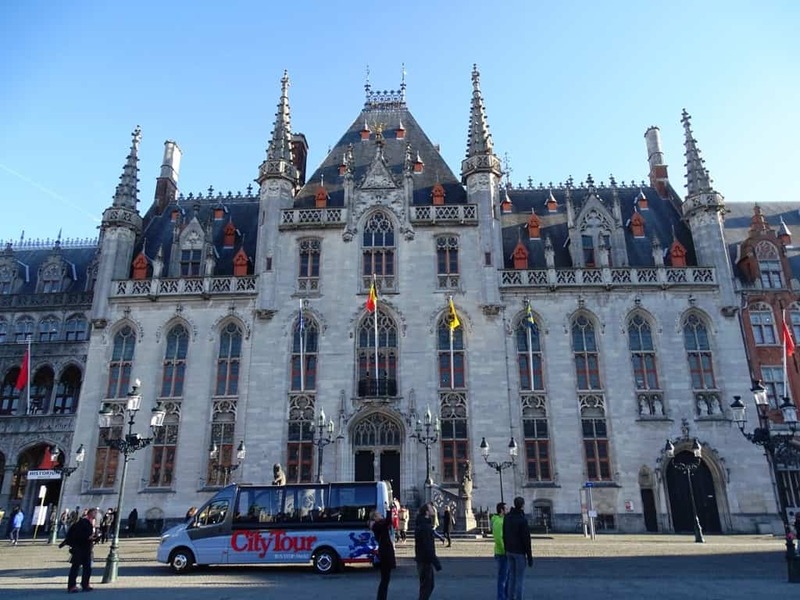 Great War Flanders Fields Minibus Tour from Bruges. 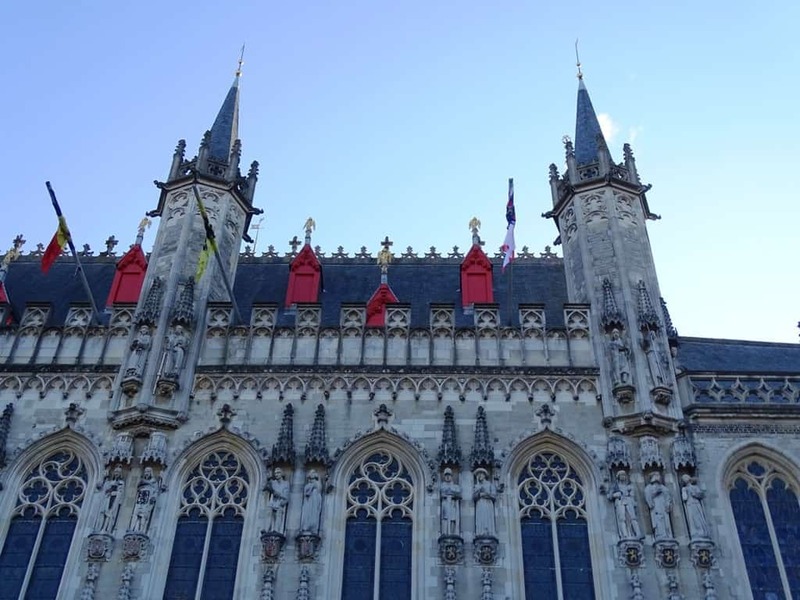 On this one day trip to Ypres you will learn about World War I as you visit key sites from the period. 30-Minute Private Tour by Bike Carriage. 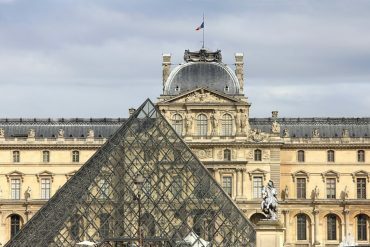 See the city from a different perspective with this private tour for up to 3 people. 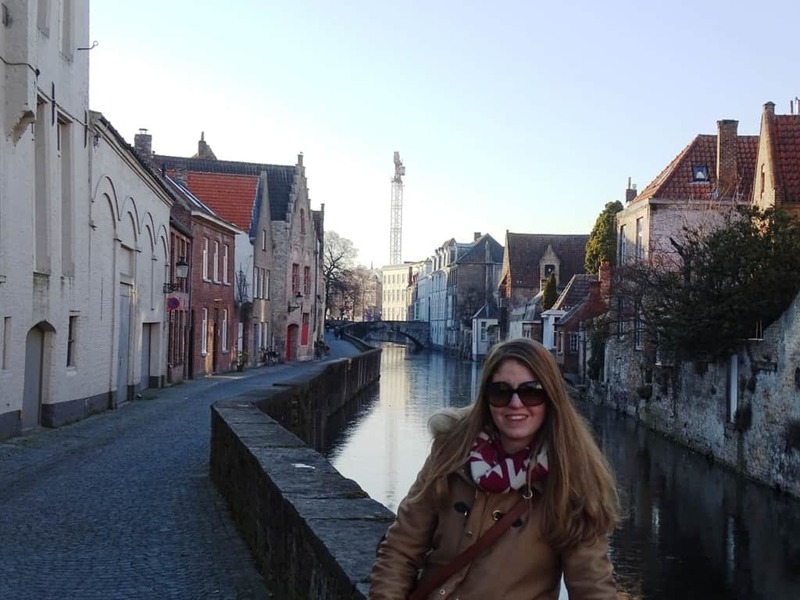 Bruges: Highlights and Hidden Gems. A 3 hour walking tour of the city. Private Food Tour with 10 tastings. 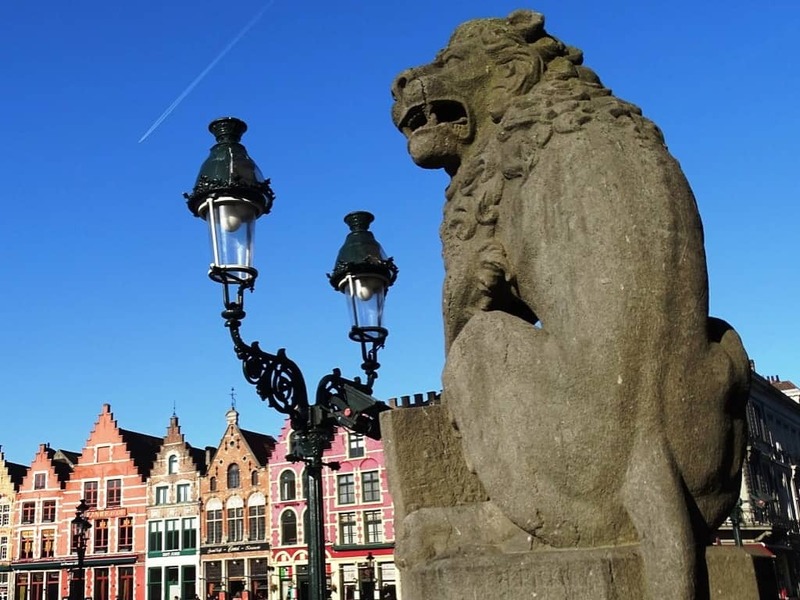 In this 3 hour tour explore Bruges while tasting the local delicasies. 3-Hour Beer and Chocolate Tasting Private Tour. 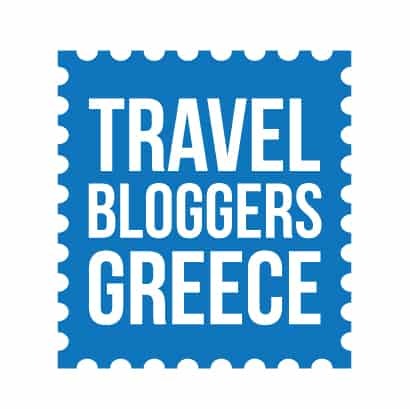 Explore Brugue, tasye chocolates at the Choco museum and a 3 course meal at a brewery. 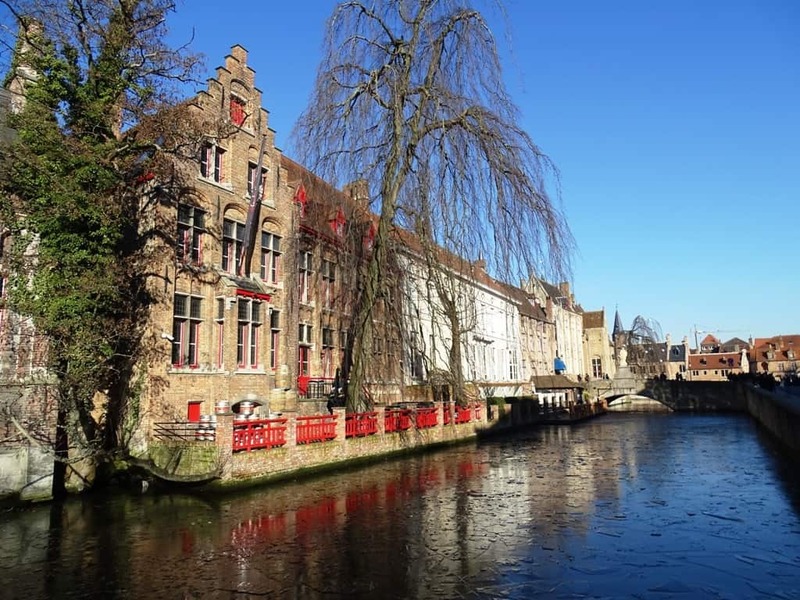 A visit to Bruges is incomplete if you don’t take one of the half-hour tours in the canals and visit this magnificent city from a different angle. 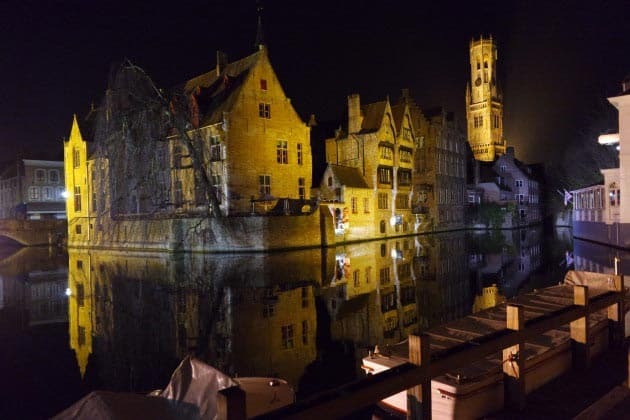 Your captain will also share some interesting stories from the history of Bruges and the buildings you see along the way. I had the chance to do a canal boat tour only on my first visit to the city, the second time the canals were frozen from the cold. 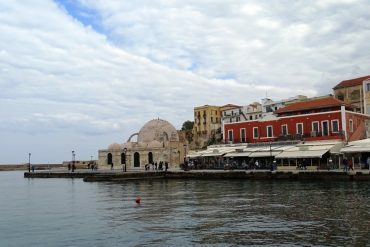 Tickets cost 8 € and there, are 5 embarkation points through the city. Located in Market Square Historium is a great attraction for children. 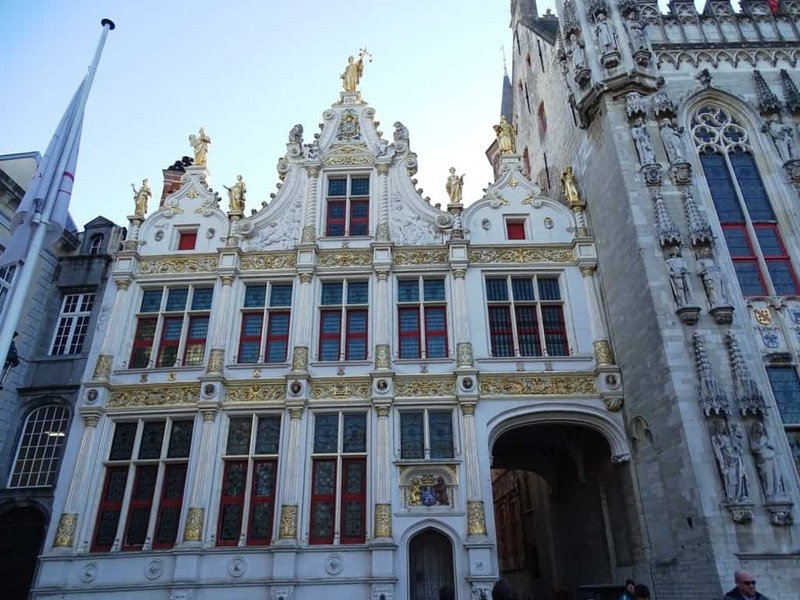 On this 1-hour interactive experience you will step back in time, and through the seven thematic rooms, you will discover how life was in the golden ages (15th century) in Bruges. Tickets cost 14 € for the explorer ticket that includes entry to the Historium Story and Exhibition. There are more ticket options available here. The museum has an impressive collection of Flemish Primitive paintings that includes works of by Jan van Eyck, Hans Memling and others. 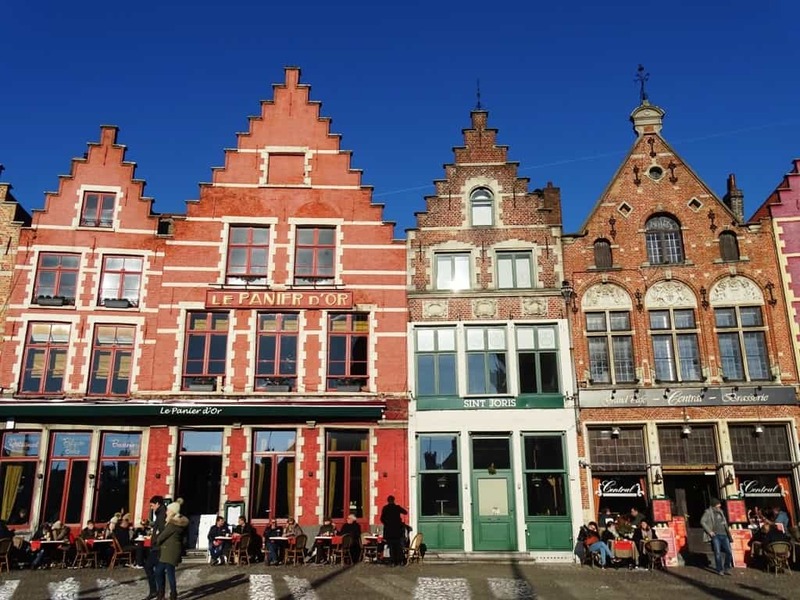 Between the 13th and 15th century Bruges was an important trading centre due to its location between the commercial regions of Scandinavia, Germany and England from the one side and Spain, Italy and France from the other. A stroll through the Hansa Quarter will take you through the mansions of the wealthy international merchants of that time. This beautiful church has an extensive collection of artworks with the most famous being Michelangelo’s Madonna and Child. The medieval Burg Square located close to the market square has many impressive buildings that include the Bishop’s Palace, the Town Hall, Old Civil Registry and the Holy Blood Basilica. When the night falls, the city becomes even more romantic perfectly lit up. A walk through the alleys and canals to admire the unique atmosphere is a must. A beautiful park located close to the train station, where you can relax and see swans swimming in the canals. The swan is one of the city’s symbols. According to the legend in 1448 the people of Bruges executed one of the town administrators belonging to the court of Maximilian of Austria. As his coat of arms featured a swan, Maximilian punished the residents of Bruges by making them keep swans in their canals. 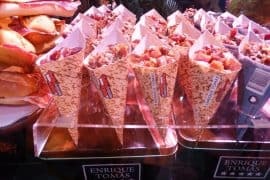 Belgium is famous for its waffles and amazing chocolates. There are many chocolatiers around the town and many waffle shops. I loved my waffle on the stick purchased in a shop opposite Burg square. and the Old Chocolate House, a chocolate shop with a lovely tea room on the top. 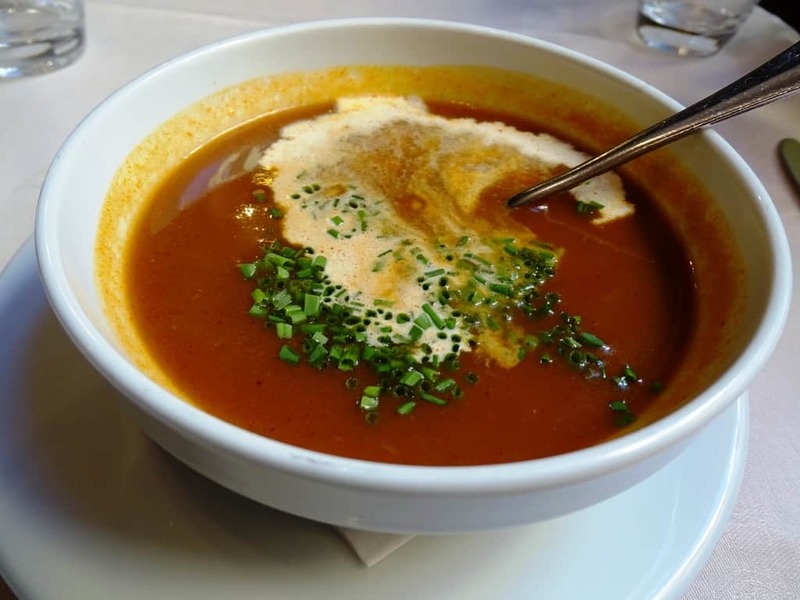 We loved our 3-course lunch at the De Koetse a restaurant serving Belgian cuisine for more than 25 years located in the heart of the city. We went there for lunch and it was packed with people. 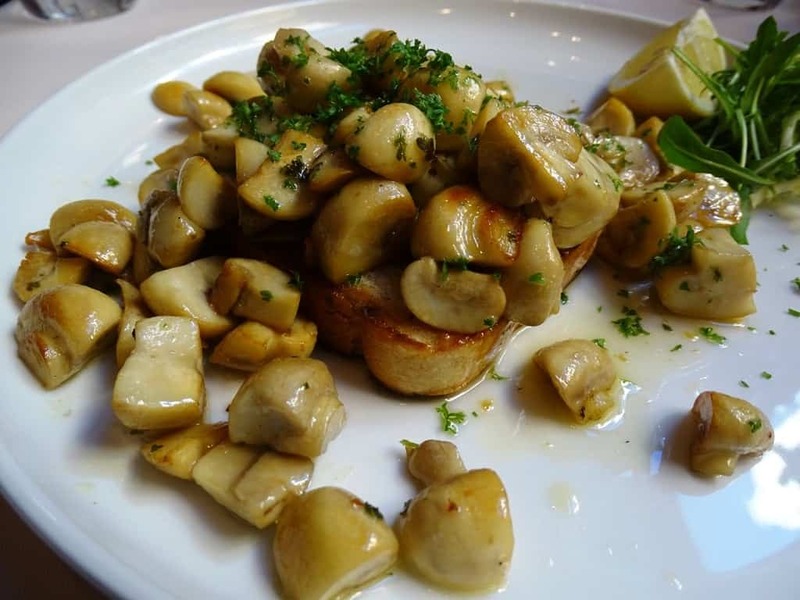 A 3-course lunch menu for 27 € was also on offer. 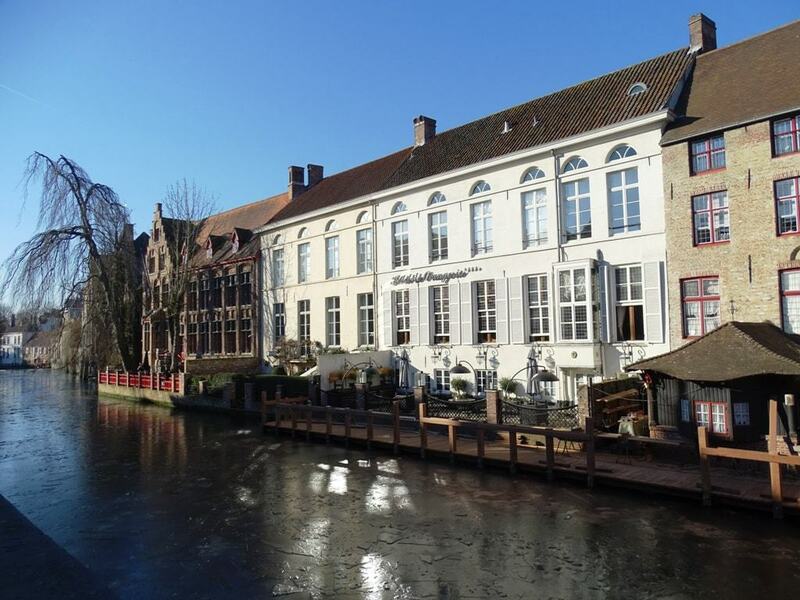 A luxurious boutique hotel located in the heart of Bruges, along ‘De Dijver’ canal. The hotel is housed in a 15th-century Carthusian convent. Another luxurious boutique hotel in the heart of the historic centre of Bruges, housed in an 18th-century mansion. 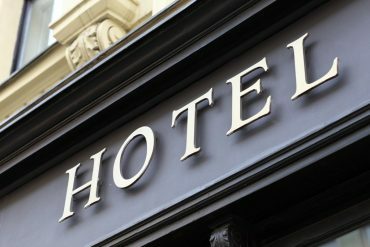 Basic clean rooms located next to Bruges train Station. You can either drive there and leave your car in one of the parking spaces at the outskirts of the city or go by train as I did. It is very easy and affordable. 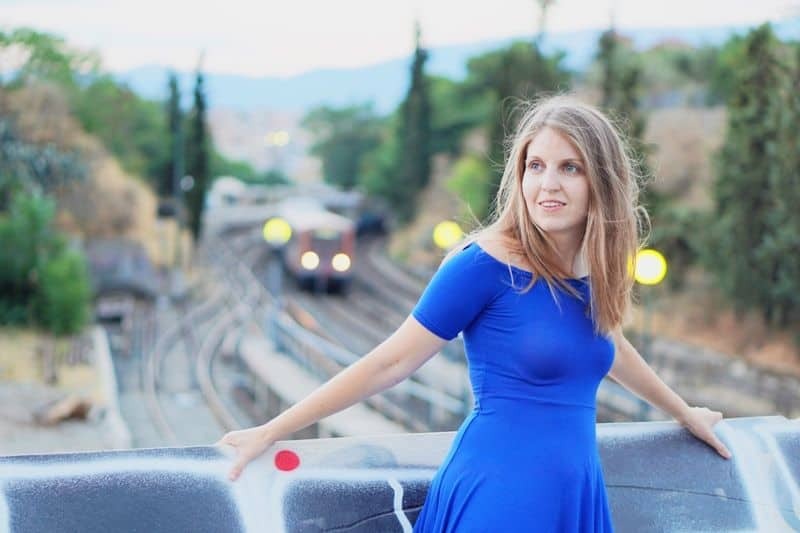 You just take the train from any of Brussels central stations, or even Brussels international airport and in approximately 1 hour you are there. A single ticket costs 14.10 €. You can book your tickets online at the following site: http://www.belgianrail.be/en or the station. Please note that Belgian rail has the internet weekend ticket with 50% discount for return tickets if your outward and return journey is made between Friday after 7 pm and Sunday. 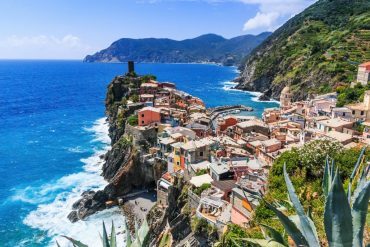 From the train station, it’s about a 15-minute walk to the town centre. Apart from walking you can take a taxi or the bus. 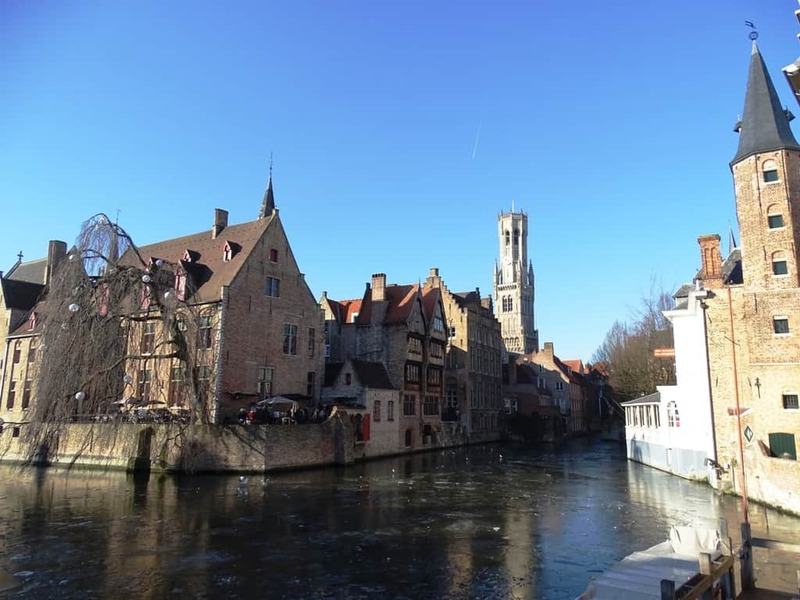 You can easily see the major sights in Bruges in just one day. Bruges is an incredible city and many people visit it. To avoid the crowds try not go at the weekends and in the summer. 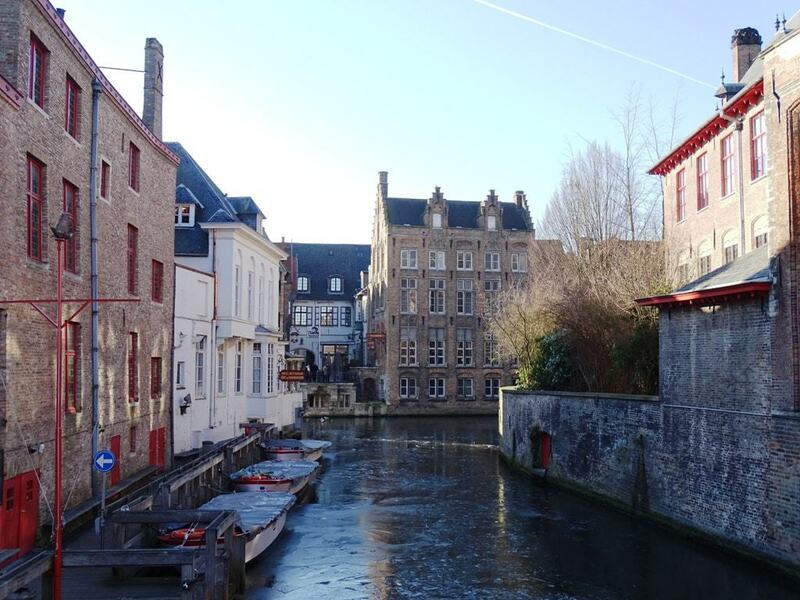 Both times I went in Bruges was during the winter and I really enjoyed it.Have you been to Bruges? 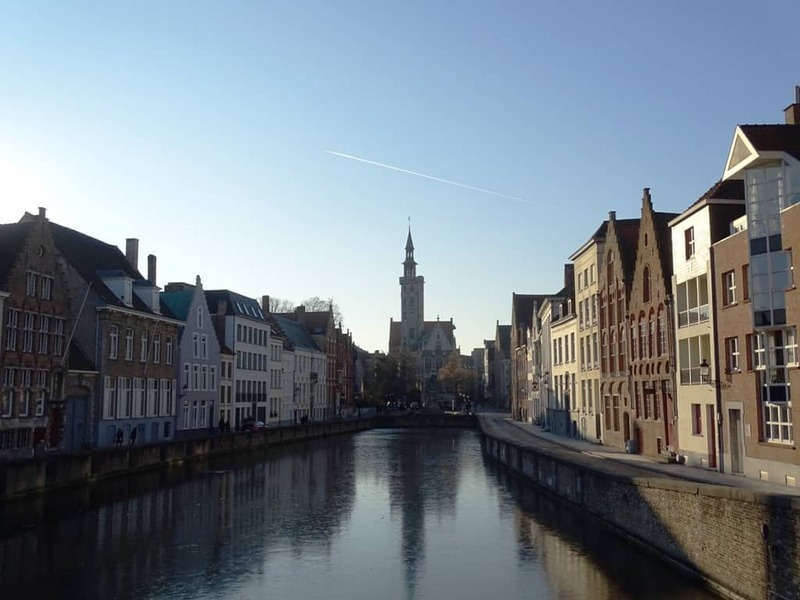 How do you find this 1-day itinerary to Bruges? Have you been to Bruges? 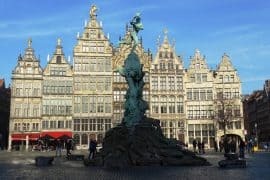 How do you find this 1-day itinerary to Bruges? 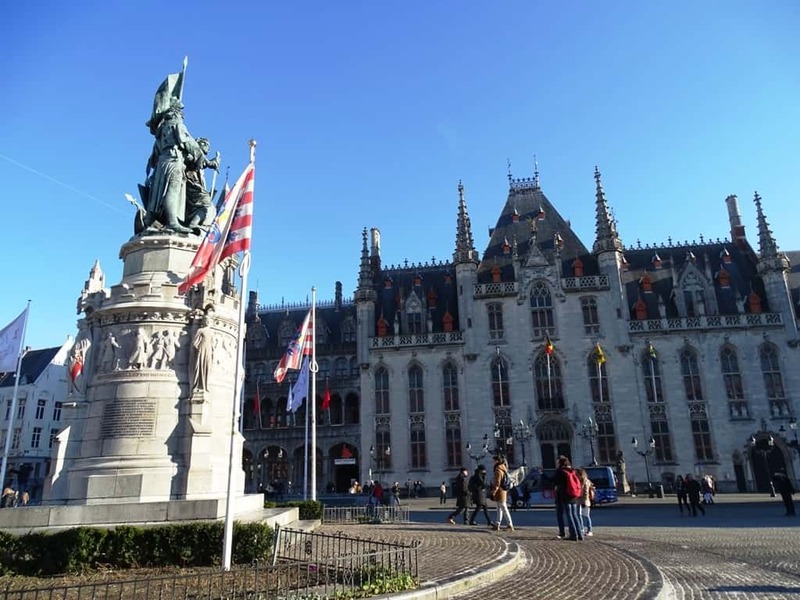 If you are looking for more information about Bruges, check The Trusted Traveller’s Guide: Things to do in Bruges, Belgium. 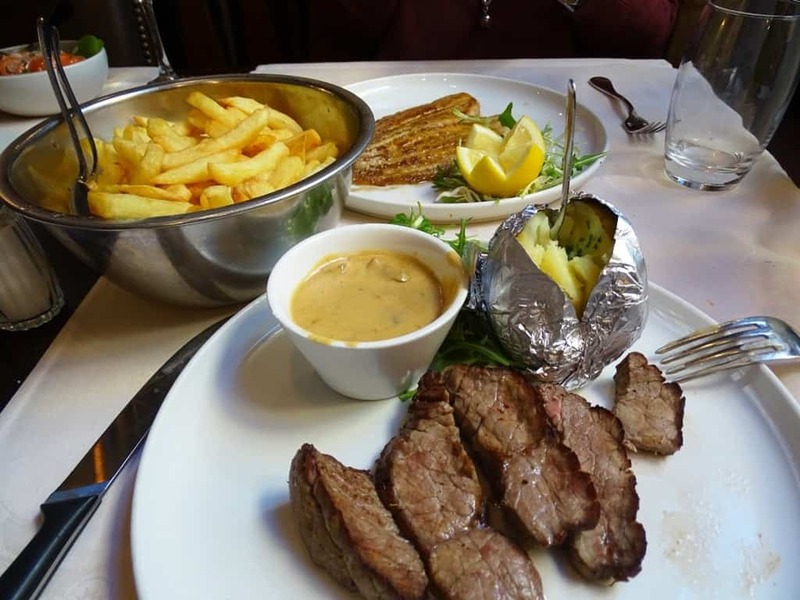 Next articleDinant, a day trip from Brussels. When I first read the title I saw “Beautiful Burgers” …im dyslexic, but I was happy to see it was actually Bruges! It looks exactly like the movie in Bruges with Collin Ferrel! Truly beautiful 🙂 I hear their waffles are out of this world! Wow it looks just like Romer in Frankfurt! 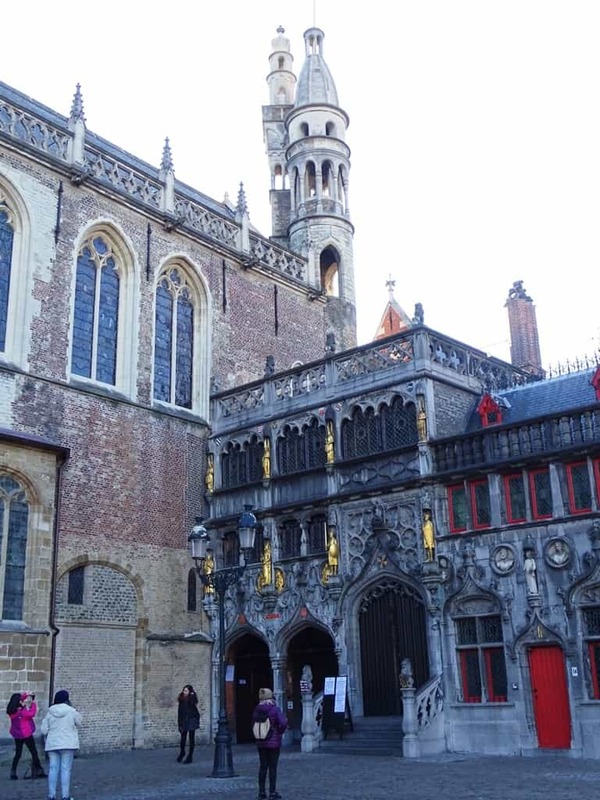 My brother had his cycling race go through Bruges a few years back – he said it is a definite must-see, but that it is largely reconstructed, not original. Beautiful architecture! I’m just back from a trip to Amsterdam, and the quaintness kind of reminds me of there! 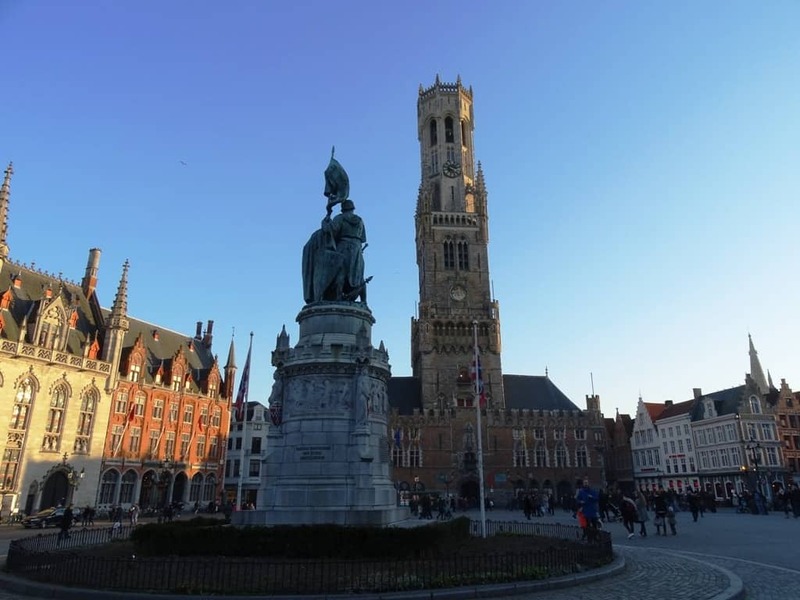 Bruges is somewhere I have always wanted to visit and also the area around there such as Ypres due to having an ancestor who died in the first world war buried there. It’s just as beautiful in these photos as I imagined it to be. 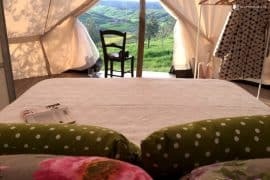 Hoping to get over there with the family this year before we set off travelling. I love Bruges. It’s such a fun little city and so beautiful! 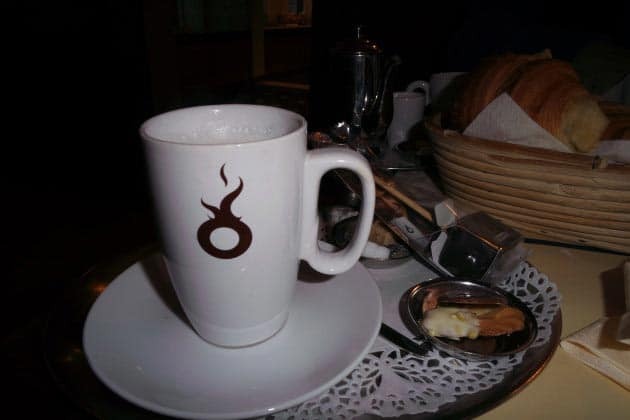 This reminds me my travels in Bruges …. 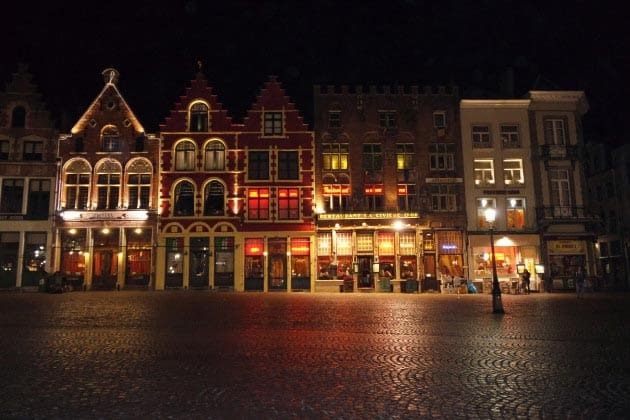 I love the colourful buildings in the Grote Markt . Pretty pictures! 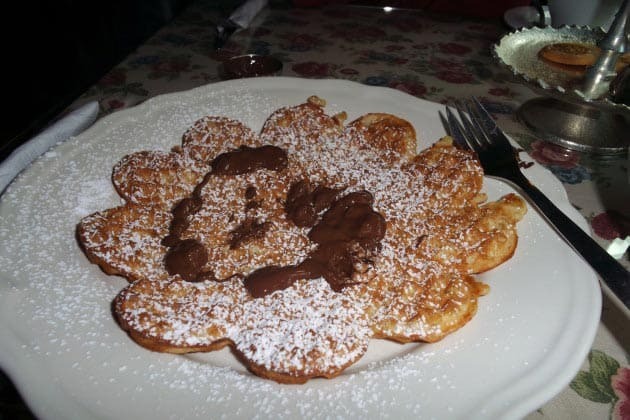 My favorite activities would be doing the canal boat tour and trying Belgian waffle. 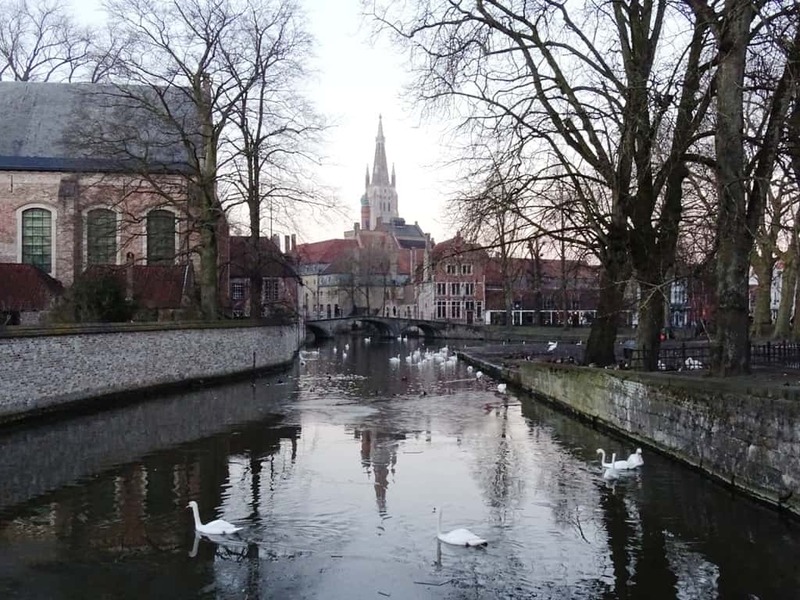 I loved visiting Bruges 20 years ago, but all I remember is the chocolate and buying some lace (quite what a 14 year old want with lace I don’t know!). Thanks for reminding me what the city is really all about, must go back again and be more appreciative! Bruges seems like coming out from a fairy tale, I love this city! Sigh. It really does look like such a pretty city. I can completely picture myself sitting on a canal ride, munching on heavenly chocolates! 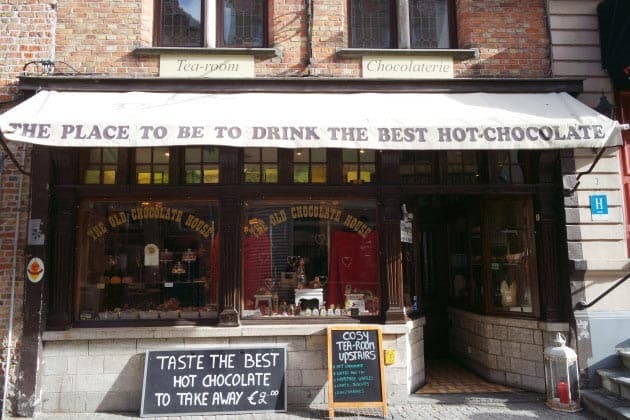 I have always wanted to go to Bruges to test out my French skills, and eat lots of chocolate. Now that you’ve enlightened me that there are museums dedicated to my favourite food, I need to get myself there mmmm! 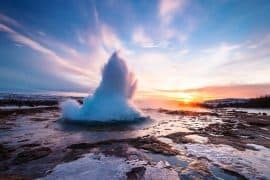 Great photos, they are truly are wanderlust-inspiring! Thanks so much! It is a lovely place especially for chocolate lovers! Wow! Such beautiful, colorful architecture. 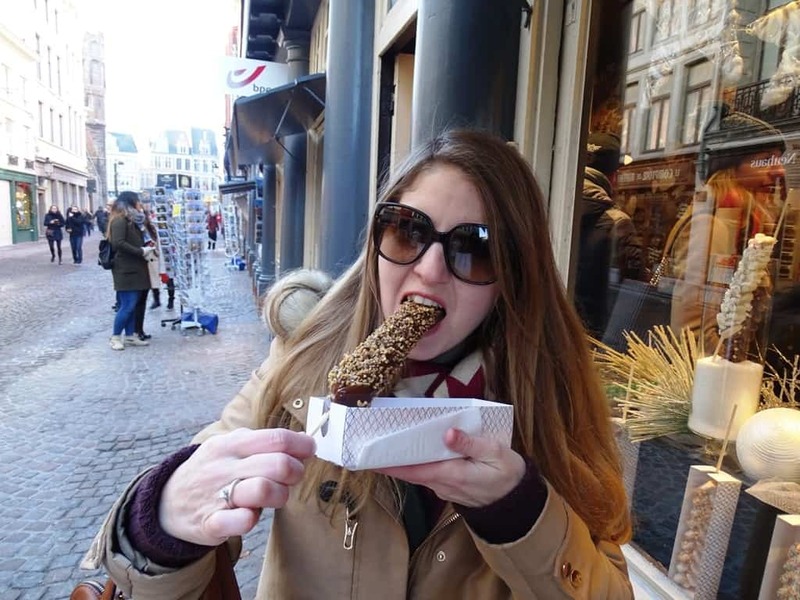 It seems like Bruges has a rich culture and plenty to do… Like eat that scrumptious Belgian waffle!!! Very pretty town! i didn’t have enough time to go and visit when i was in Belgium, hopefully next time. I’m glad that Bruges was the first city I visited in Belgium as I always thought Belgium was a boring little country. Bruge definitely opened my eyes, fell in love with the beauty of the charming city. And luckily I was there when the chocolate festival was on, made it even more special. Belgium is definitely charming in it’s own way. You’ve convinced me! I think I need to squeeze this in as day trip from Brussels when we go in May. That’s the most delicious looking waffle I’ve ever seen. Belgium looks beautiful! Thank you for sharing! Great tip on the train ticket over the weekend! I am planning a short trip to Belgium and The Netherlands (for one day) in April and want to add Bruges on my “to see” list since I have seen so many beautiful pictures of this small town. What other town should I go see? Thank you Ingrid. I also recommend Antwerp and Ghent in Belgium and the Keukenhof gardens in the Netherlands.